Pro tip: Avoid cherry tomatoes at all costs. 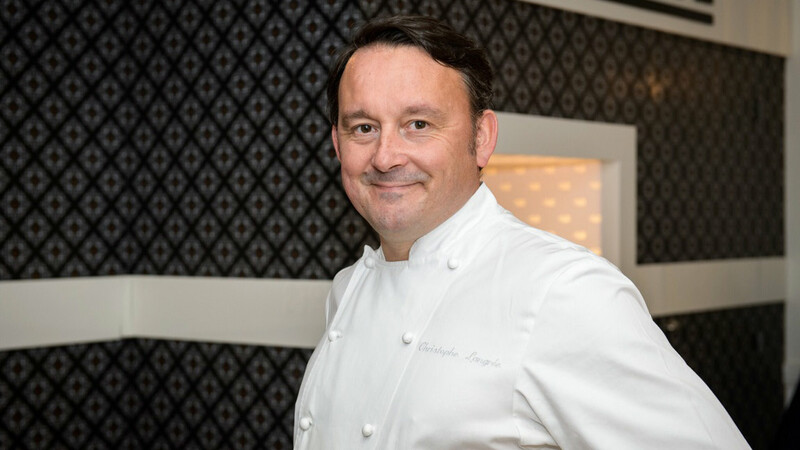 “People expect their vacation to begin right away,” says Christophe Langrée, the chef of Le 10 in Saint-Germain-en-Laye in France. And now, for a chef who earned his Michelin star heading Le Clos du Chanoine in France’s Saint-Maloe region before cooking for the French prime minister, that means cooking something delicious for you to eat during your flight. Despite a sudden surge in carriers bringing back the art of inflight dining, airplane food doesn't have the best reputation. But Langrée has been committed to improving the experience ever since he partnered with La Compagnie, a French business class-only carrier, three years ago. He starts at the restaurant. “I am inspired by the dishes I create at my restaurant and design a new menu every two months,” says Langrée. He then shares the recipe with airline catering service Servair to recreate the dishes and conducts a tasting session to compare his original ideas with the adaptations and gives his feedback. “It is my goal to offer the same quality of dishes in my restaurant to La Compagnie’s passengers,” he says. He resists the temptation to garnish. He changes it up frequently. Langrée gave us a sneak peek at the new menu, debuting in June. There’s gambas with hummus to mimic mezze, “something you want to eat when it’s warm outside,” says Langrée; veal with creamy raifort sauce and leeks and firm seabream with fava beans and shallot confiture. You can also considere it a small preview of his upcoming restaurant, Poisson, a seafood-centric spot opening in Rueil-Malmaison, a western suburb of Paris.